Order Neuroptera, with about 4,500 described species, makes up only a tiny fraction of the insect kingdom. Neuroptera is Latin for “netwing.” The Chrysopidae, the largest family within the Neuroptera, consists of approximately 1500 species in 90 genera. Green lacewings and their allies are fearsome predators of aphids, and are extremely beneficial to flower and vegetable gardeners. 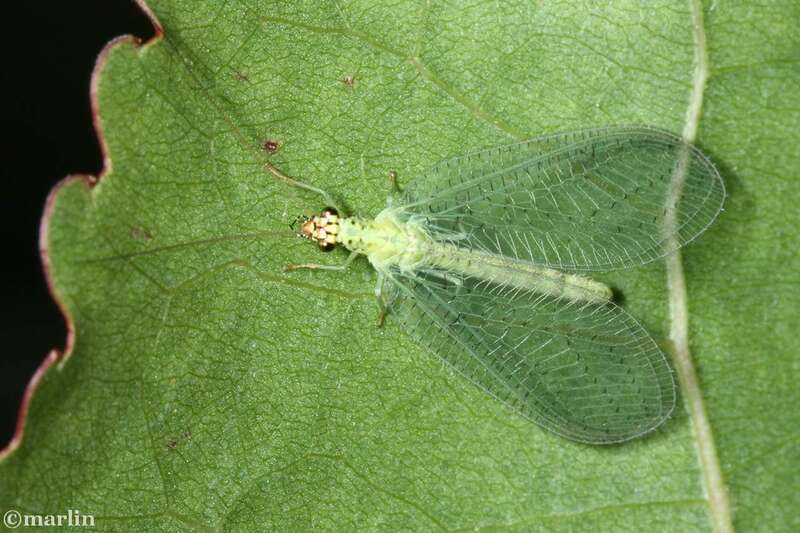 Green lacewings can be very numerous under the right conditions, and have a very distinctive, fluttering, swooping flight. They have a number of defenses, among them a chemical stench both adults and larvae emit from special glands. One component of the compound is skatole, well known as one of the smelly substances in mammal feces. It is presumed this odor deters predators  . I found this aphid lion hanging around a large agglomeration of aphids that were also under attack by lady bugs. This is when I realized what these disgusting creatures were – I had seen them many times before, and been bitten by them on occasion, but never realized what they were. Yes, they bite – and what a bite! The welt will sting and itch for hours afterward. Look at the left end of the above specimen at those pinching mouthparts. 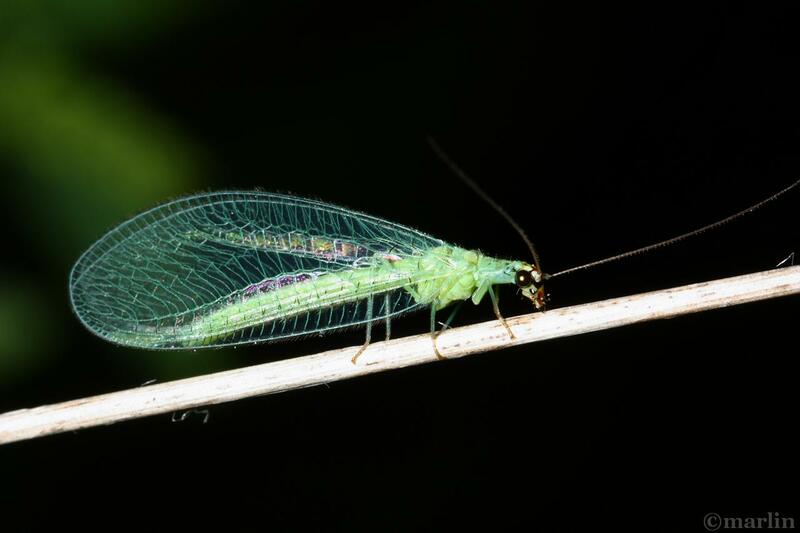 Lacewing eggs are attached to plants on stalks. Photo courtesy Fritz Geller-Grimm via Wikimedia Commons. Food: Some adults are predators, others take liquids such as honeydew, and some take pollen. 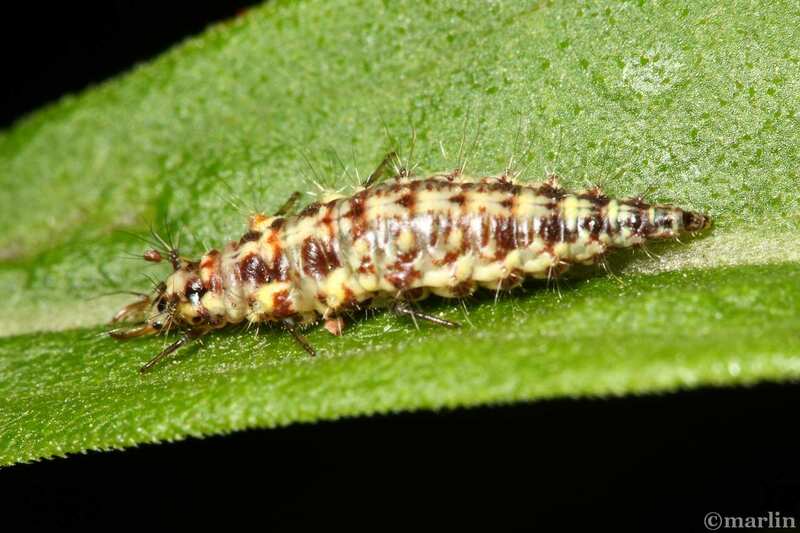 Larvae are carnivorous and subsist chiefly on aphids.